Children in our care are escorted into school just prior to school starting and are collected from their classrooms as agreed with the individual school, ensuring continuity of supervision. We provide play opportunities either side of normal school hours including games, arts and craft, books and a variety of toys. During good weather we offer outdoor play on the school playgrounds and we have access to televisions and computer games. We also try to ensure there is a quiet area available for children to do their homework if they wish. In school holidays, cover is best provided by centralising facilities as this enables a wide variety of activities to be offered. Larger numbers of children make it practical to offer team games such as football, hockey, cricket and rounders, while still offering plenty of choice for those children not wanting to participate in organised games. 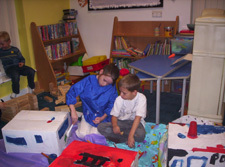 The holiday club operates on every day which schools are closed except bank holidays. Locations vary from time to time to meet the demand, but places are always available in Meriden, Shirley and Southam. 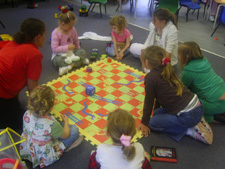 Places are available to all children whether they attend school clubs during term time or not. Please check with your local school club for location and availability.